Visit Weasler at Agrishow 2018 - Weasler Engineering, Inc.Weasler Engineering, Inc.
Weasler Engineering Inc. will be exhibiting at the 25th annual Agrishow, April 30 – May 4, 2018, located at Ribeirao Preto in Sao Paulo, Brazil. You can find our drive shafts, clutches, gearboxes and other components at Stand B – Number 27. Agrishow is considered the greatest agricultural technology fair in Latin America and is one of the largest in the world. It is the only fair that brings together agricultural solutions for all regions of Brazil, and for all types of crops and sizes of properties. The field demonstration area provides a venue for demonstrations so all attendees can see the latest equipment in action. 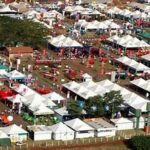 Agrishow 2017 drew 359,000 attendees. Over 800 brands of equipment were present at the show, and 70 countries were represented. 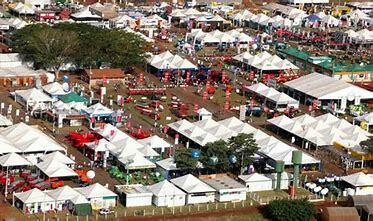 For more information, visit the show site at https://www.agrishow.com.br/en/Home.html.